The State Advisory Board is responsible for advising, counseling and conferring with the CEO of the Florida SBDC Network to ensure the interests of small businesses are represented in the Network’s coordinated efforts and investments in small business development and entrepreneurial support services. 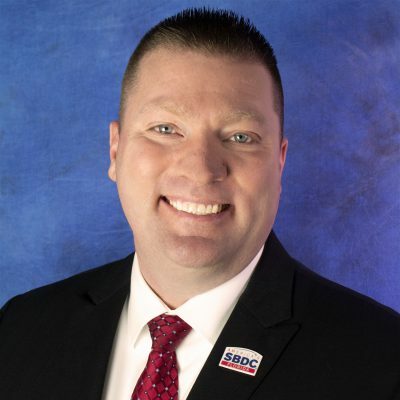 Michael Myhre is the CEO of the Florida SBDC Network, based in the Headquarters office, located at the University of West Florida in Pensacola. Prior to this position, Michael was the State Director for the Office of Entrepreneurship and Small Business Development for the State of Minnesota, responsible for entrepreneurial and small business policy development and support services. Throughout his career, he has held various positions in the field of small business assistance, development and education. In all that he does, Michael operates from his most basic core value, success through integrity. This value was formed as he matriculated at the Carlson School of Management at the University of Minnesota. Michael is also a certified public accountant (inactive/unlicensed). 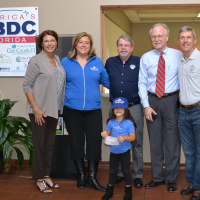 Bridget LaCoste is the Executive Assistant for the Florida SBDC Network Headquarters CEO, Michael Myhre. In this role, she serves as the statewide advisory board assistant and assists the Florida SBDC Network Headquarters office in the development, planning, and implementation of stakeholder events and special projects for the network. Leslie Dougher is a lifelong Republican, having been raised by two conservative Republican parents on the West Coast. Cutting her baby teeth on small fiscally conservative government nursery rhymes, low taxes, and personal responsibility, she graduated from High School while President Ronald Reagan was in office. It was Reagan’s message that further fueled her interest in politics, community and the world around her, and inspired her to roll up her sleeves and get to work. 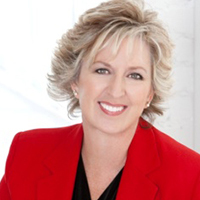 Leslie’s professional career includes banking, human resources, economic development, and real estate. As one of a few multi-million dollar top producers, with close to 100% Premier Service Customer Satisfaction Ratings, she has found that all potential homeowners have the American Dream of home ownership at heart, regardless of its size or location. It is pride associated with that feeling that reassures Leslie she has not only chosen the “Right” profession but the “Right” political message. In 1995, this lifelong Republican and her military family moved to Clay County. She immediately fell in love with its Southern Hospitality and what she loved most about it was its Republican constituency, a far cry from where this California girl came from. She wasted no time getting involved with the local Republican Executive Committee as a precinct committeewoman. In 2008, she was elected as Chairman of the Clay County Republican Party. Leslie served as the Women for McCain/Palin Chairman, Scott/Carroll Chairman and Romney/Ryan Chairman for Clay County. In 2012, she was elected as the Chairman of the RPOF County Chairman Caucus. In addition to politics, she served as the Government Affairs Chairman of the Clay County Chamber of commerce, which advocates for local businesses. Leslie enjoys having her finger on the pulse of the county, state, and national political scenes, but her true passion is spending time with her daughter and exercising her 2nd Amendment rights. 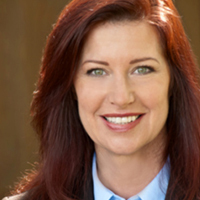 Founder and CEO, Entropy Technology Design, Inc.
Tami Fitzpatrick is currently the founder and CEO of Entropy Technology Designs Inc., a Tampa-based company established to develop and market the proprietary NIMBUS family of severe weather detection products and technology. Her professional background includes 25 years of experience in small corporate management, public relations, international trade development, and all factors related to product conceptualization, development, sales, and marketing. Her business experience over the last ten years has focused on the development and launching of product concepts across the government, commercial, and consumer markets. Ms. Fitzpatrick’s international business connections began in the 1990s when she was contracted by the U.S. State Department to serve the Office of Public Affairs and BRASS General Manager in Beirut, Lebanon. Her experience with the global severe weather technology markets was initiated with her growth of a small, internet-based sales company into one of the leading distributors of hand-held storm and lightning detectors in the world. This professional exposure created the opportunity for Ms. Fitzpatrick’s appointment to the Florida Chamber of Commerce Board of Directors as well as Florida Small Business Council Chair. With her expanding experience and understanding of the global needs for the next generation of weather detection technology, Ms. Fitzpatrick founded Entropy Technology Designs in 2013 to serve as a Florida-based company that could contribute to the new and exploding technology applications in areas such as tornado detection, drone navigation, driver-less vehicle navigation, and a wide variety of other security and public safety uses of the proprietary NIMBUS technology being developed by Entropy. Ms. Fitzpatrick is also involved in the development of a variety of personal health and safety products that can significantly improve the quality of life for seniors, increase the personal safety for women, and create more ways for advances in technology to directly enhance the daily lives of individuals. 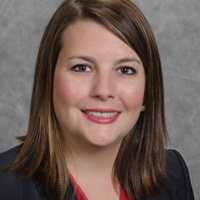 Amanda Bowen serves as the Executive Director for the Manufacturers Association of Florida, bringing a decade of experience in board management, communications, and government affairs to the association. Prior to this role, she served as the Director of Communications for MAF and represents the association on the Florida SBDC Advisory Board, the Florida Chamber Small Business Council, the Enterprise Florida International Trade Partnership and Stakeholders Council. With various statewide groups, Amanda has engaged with multi-generations on association events, marketplace trends, legislative activities, and communication. 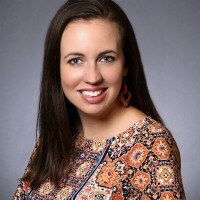 She has a Six Sigma Green Belt Certification from the Florida Sterling Council and was recognized as the Emerging Leader of the Year from the Tallahassee Leadership Academy in 2015. Amanda is a frequent public speaker on Generational Communication Strategies, Digital Marketplace Transitions, and Personal Branding. As an active volunteer in her community, Amanda devotes her time to various charity organizations, the America Society of Association Executives, and is the 2016-2017 Chair of the Florida Society of Association Executives Young Professionals Task Force. Amanda earned a B.A. in Humanities and Communication at Florida State University and is a native of Tallahassee, Florida where she resides with her family. Dennis D. Bradford, principal of Genesis Group, has been involved in various phases of the real estate business since 1971. He is a licensed real estate broker in Florida and Oklahoma and manages a number of real estate brokerages in Florida, Oklahoma and has acted as a real estate consultant in seven states and internationally. Dennis is the Past Chairman and CEO of Coachman Incorporated, a public company that he founded in 1985. Through its various subsidiaries, Coachman Incorporated acted as a real estate syndicator, property manager and was a licensed contractor in Oklahoma, Texas, California, Arizona and Florida building hotels. 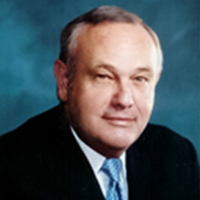 Through acquisitions, he built Coachman Incorporated to a company with 1,500 employees, sales of over $50 million. Prior to forming Coachman Incorporated, Dennis founded Blazer Oil Company of which he still serves as president. He also served as a director of Craft World International, Inc., a publicly held distributor of craft and leisure products. He was the vice-president of acquisitions for PetroSouthern, Inc., a public oil and gas company. He was a commercial loan officer with Mager Mortgage Company and a representative for Xerox Corporation. Dennis has served on the International Board of World Presidents’ Organization (WPO the alumni organization of YPO) and served as the US Western Regional Chairman. He currently serves on the YPO/WPO International Events Committee. He served as Chairman of the WPO New York University, WPO’s major event for 2013 and is now serving as Advisor to the YPO/WPO Rome Presidents’ University. Dennis is the Chairman of the United States Small Business Administration’s National SBDC Advisory Board. Dennis is a 1969 graduate of the University of Tulsa, BSBA in Economics, where he has served as a member of the Dean’s Advisory Council to the Fulton Collins Business School. A recognized leader in the community, Greg Britton has both public and private sector acumen. Mr. Britton’s drive and focused determination for success in the private sector was recognized by many in the community as he led multiple businesses to record earnings and growth. During his tenure in the private sector, Mr. Britton found a new love and passion for his community. His business travels and projects aligned with the targeted industries of the state and of the region and Mr. Britton began working with economic development professionals to promote the Northwest Florida Region to companies looking to relocate to Florida. After 25+ years in the private sector, Mr. Britton decided to make a career change and practice his passion for economic growth and resiliency for the State of Florida. 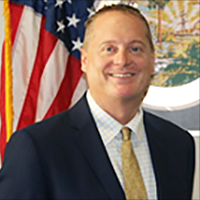 Mr. Britton joined the Florida Department of Economic Opportunity as the Director of the Division of Strategic Business Development in August 2017. As the director, Mr. Britton has applied his business management style and team building skills to make significant gains within the Division and build a highly effective team that is accountability and results-focused. Trustees. These appointments by Governor Scott have allowed him to give back to Florida communities and ensure that every Floridian has the tools and opportunities to succeed. Elizabeth Burch is President/CEO and majority owner of Dignitas Technologies. 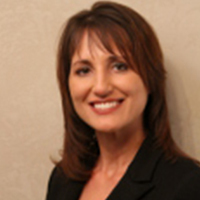 Elizabeth has over 20 years of experience with Modeling and Simulation. She began her career in software engineering and then became the manager of numerous complex simulation systems. Prior to Dignitas Technologies, Elizabeth held the position of Senior Program Manager and Assistant Vice President of Program Management at Science Applications International Corporation (SAIC) in Orlando, FL for 16 years. Her specialization is in modeling, simulation and training for research, development and production type contracts. She has previously held the positions of CCTT Program Manager (PM), OneSAF Deputy PM, SE Core A&I PM and Deep Green PM. 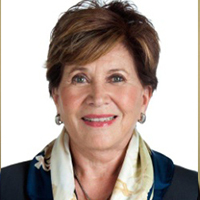 Elizabeth’s education includes a Bachelor of Science in Computer Science from the University of Central Florida (UCF), management courses from George Washington University and the Defense Management Acquisition and numerous certificate courses in the field of Program Management. Elizabeth is a member of the 2012 Service Academy Nomination Board for U.S. Senator Marco Rubio. She is also a member of the NDIA Board of Directors as STEM Coordinator. Elizabeth is a member of the Association of the United States Army (AUSA) of the Sunshine Chapter, Orlando FL, National Defense Industrial Association (NDIA), Program Management Institute (PMI) and the Central Florida Chapter Women in Defense (WID) where she previously held the position of Director of Special Projects. Under Jason’s leadership, SFM and SFA have developed into globally recognized leaders of sport and entertainment development by focusing on transforming the health and economic vitality of communities. Jason conceptualized and led the launch of SFM overseeing the development of the organization and management systems. His strategic direction and oversight have resulted in SFM producing the most successful private and public sports developments in the country. He is also an experienced advisor having provided strategic, financial, and operational expertise to new and existing venues throughout the U.S., Caribbean, Europe, Middle East, Canada, Asia, Africa, and Central America. Jason began his career as a licensed architect specializing in sports complex design. Prior to SFA | SFM, Jason managed fortune 500 corporate real estate asset management portfolios and university sports facility developments. House of Representatives to serve on the Florida Small Business Development Center Advisory Board. Michelle Dennard is president and CEO of CareerSource Florida, Inc., the nonprofit, public-private policy and investment board of business and government leaders charged with guiding workforce development for the state of Florida. Ms. Dennard joined the organization in November 2014 as Vice President of Policy. She provided workforce policy guidance to the CareerSource Florida Board of Directors and the Board’s Strategic Policy Council. Ms. Dennard led the development of Florida’s unified plan for implementing the Workforce Innovation and Opportunity Act, the federal legislation that modernizes states’ workforce systems through a market-driven approach to better serve businesses, workers and job seekers. Through strong leadership and a collaborative spirit, she engaged workforce and education partners throughout the state to develop a plan that delivers customer-driven solutions through an integrated job-driven network for the 21st century and beyond. An attorney and member of the Florida Bar, Ms. Dennard has more than 10 years of experience in workforce and economic development. Prior to joining CareerSource Florida, she served as the Director for the Division of Strategic Business Development at the Florida Department of Economic Opportunity. She previously served as Deputy Director of the Governor’s Office of Tourism, Trade and Economic Development, providing legal counsel and managing legislative affairs. Ms. Dennard is a member of the Florida Chamber Foundation Board of Trustees, the Florida Higher Education Coordinating Council, the Florida Small Business Development Center Network State Advisory Board, and most recently an inaugural member of the Florida Student Success Center’s Advisory Board. 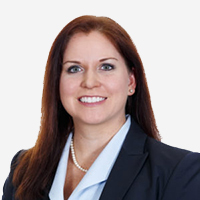 She lives in Tallahassee with her husband and son, is a graduate of the Florida State University College of Business and earned her Juris Doctor degree from the Florida State University College of Law. Drive, walk or fly around south Florida and you’ll see signs that began as ideas and solutions in Sandi Foland’s office. Foland and her husband Jerry started Baron Sign Manufacturing in the garage of their south Florida home 26 years ago and now the company, a multi-million dollar corporation based in Palm Beach County, is a recognized industry leader offering custom sign design, manufacturing and licensing installations for architects, developers, contractors and governments throughout the southeastern US and the Caribbean. Baron Sign Manufacturing saw a recent 40% increase in revenue for 2008 due to the increased space in the new facility and the ability to include airports and hospitals in our business. The company is one of the first to offer solar-powered and LEED certified signage systems that are quickly becoming a favorite choice for “green” buildings. The environmentally- friendly signs are just part of an award-winning Baron Sign portfolio that includes traditional and state-of-the-art interior and exterior signs for commercial facilities, airports, hospitals, shopping centers, hotels, and government buildings. Sandi leads with her passionate and dynamic personality infusing her own brand of energy, vision, and spirit into her company, as well as non-profit organizations and the local business community. Sandi and Jerry have been married for 39 wonderful, hardworking years. Their daughter, Rachel, is a graduate of the University of Florida. And yes, Sandi and her husband still enjoy working together 6 days a week to grow their business and community. Louis Foreman is the founder and Chief Executive of Enventys (www.enventys.com), an integrated product design and engineering firm. 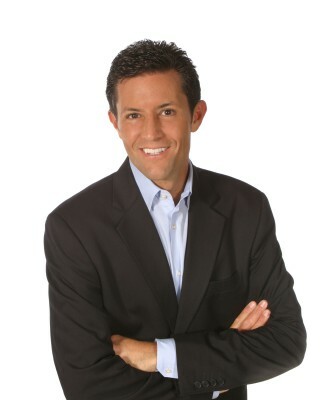 He is also CEO of Edison Nation (www.EdisonNation.com), and Edison Nation Medical (www.EdisonNationMedical.com). Louis graduated from The University of Illinois with a Bachelors of Science degree in Economics. His interest in starting businesses and developing innovative products began while a sophomore with his first company founded in his fraternity room. Over the past 20 years, Louis has created 9 successful start-ups and has been directly responsible for the creation of over 20 others. A prolific inventor, he is the inventor of 10 registered US Patents, and his firm is responsible for the development and filing of well over 600 more. The recipient of numerous awards for entrepreneurial achievement, his passion for small business extends beyond his own companies. Louis is an adjunct professor of Entrepreneurship and Innovation, at Queens University. He received the Instructor Achievement Award for his teaching at Central Piedmont Community College and was recognized by the National Museum of Education for his Distinguished Contributions to Education. Louis is an adjunct professor and the Entrepreneur in Residence at The McColl School of Business and was the 2013 Distinguished Visiting Professor at Johnson & Wales University. He is a frequent lecturer and radio / TV guest on the topics of small business creation and innovation and is frequently invited by the United States Patent and Trademark Office and national trade associations to be a featured speaker on the topic of innovation. In addition to being an inventor, Louis is also committed to inspiring others to be innovative. Louis is the creator of the Emmy® Award-winning PBS TV show, Everyday Edisons, and serves as the Executive Producer and lead judge. The show is in its Fifth season and appears nationally on PBS. In 2007, Louis became the publisher of Inventors Digest, a 32-year-old publication devoted to the topic of American Innovation. In 2009, his first book, The Independent Inventor’s Handbook, was published by Workman Publishing. In 2015, Louis was awarded the IP Champion Award by the US Chamber of Commerce. Louis currently serves as Chairman of the Board of Directors of the James Dyson Foundation, the Intellectual Property Owners Association (IPO), Ventureprise, New Dominion Bank, and is President of the Intellectual Property Owners Educational Foundation (IPOEF). In 2013, Louis was appointed by SBA Administrator, Karen Mills, to serve a three-year term on the National SBDC Advisory Board. In 2008, Louis was appointed by United States Secretary of Commerce Carlos M. Gutierrez to serve for a three-year term on the nine-person Patent Public Advisory Committee (PPAC) of the United States Patent and Trademark Office. In 2011, he was appointed by Secretary Gary Locke to serve an additional three-year term. The Committee was created by Congress in 1999 to advise the Under Secretary of Commerce for Intellectual Property and Director of the United States Patent and Trademark Office on matters relating to the policies, goals, performance, budget, and user fees of the patent operation. In 2013 he was asked to serve as Chairman of PPAC until the end of his term in December 2014. In 2011, Louis was called upon, multiple times, to brief the House and Senate Judiciary Committees on legislation related to the US Patent System and its impact on independent inventors. On September 16, 2011, Louis joined the President on-stage for the signing of the America Invents Act into law. This bi-partisan effort represented the most comprehensive overhaul to the US Patent System in over 60 years. Bill Herrle is Florida Executive Director for the National Federation of Independent Business, Florida’s and the nation’s leading small-business advocacy group. Bill manages NFIB’s state operations in Florida to include its lobbying, member support, and statewide political and media functions. 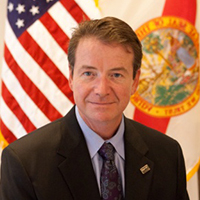 Bill, who was NFIB/Florida’s state director from 1990-2001, rejoined NFIB in March 2007. From 2001-07, he served as vice president of governmental affairs and political action for the Florida Retail Federation, where he lobbied effectively and successfully grew their political efforts. Bill is a recognized leader in Tallahassee with a highly impressive track record. 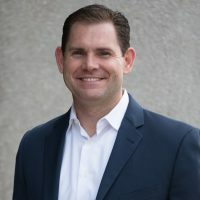 Before his work at the Retail Federation and NFIB, Herrle served as communications director for Florida Association of the American Institute of Architects and account manager for Executive Management Services, an association management, and lobbying firm. Bill is a graduate of Penn State University, where he earned his bachelor’s degree in political science. He serves on the Board of Directors of TaxWatch as well as on the Board for the Museum of Florida History. Carolyn Johnson is the Director of Business, Economic Development and Innovation Policy with the Florida Chamber of Commerce. In this position, Carolyn advocates on behalf of helping Florida create a business climate that generates high-paying jobs, vibrant communities, and global competitiveness. Carolyn’s advocacy efforts span two of the Florida Chamber’s Six Pillars of Florida’s Future Economy – Innovation and Economic Development and Business Climate and Competitiveness. Carolyn’s recent legislative successes include helping to close a costly workers’ compensation loophole that artificially increased the cost of medical care, leveling the playing field for property insurers, and reducing taxpayer risk in the event of a hurricane or catastrophic storm. Prior to joining the Florida Chamber, Carolyn was a District Administrator and Legislative Assistant for the Florida House of Representatives. She previously served as a Deputy Campaign Manager for a successful constitutional amendment campaign. 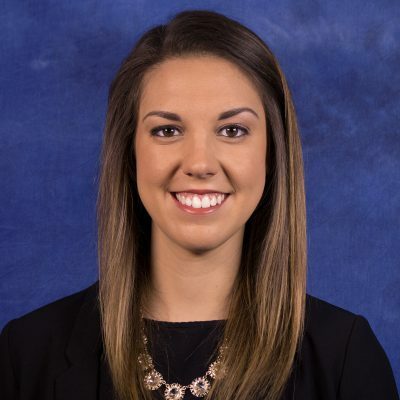 She is a previous member of the Central Florida Partnership’s Young Professional Advisory Council. Carolyn is a native Floridian, hailing from St. Petersburg. She is a graduate of the University of Central Florida with undergraduate degrees in political science and advertising/public relations. She holds a master’s degree in public administration and a graduate certificate in urban and regional planning. Carolyn enjoys participating in the high-energy Crossfit program and reading historical fictions. 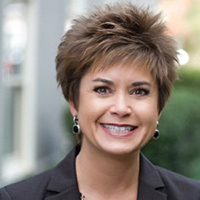 Executive Director, Florida Economic Development Council, Inc.
Beth Kirkland is the founder and principle of Beth Kirkland Consulting, LLC, an economic and business development consulting and management services firm. She serves as the economic development professional for the Gadsden County Development Council in north Florida and as the Executive Director of the Florida Economic Development Council. Additionally, Beth maintains a consulting affiliation with BRPH Architects-Engineers, Inc., supporting commercial and industrial business and project development primarily in the aviation/aerospace and defense sectors. A Floridian since 1986, Beth has over 25 years of business development experience in defense, healthcare, information technology, and economic development. She has successfully led multiple professional fund development campaigns. As an economic developer in North Florida, Beth has the privilege of working with tremendous community leaders who garner vast support from industry, higher education and governments to collectively build and fund a comprehensive economic development program balanced among new business development, existing industry growth, and business attraction. Leveraging key transportation and research assets, Beth was instrumental in securing a federal grant to fund the Entrepreneurial Excellence Program designed to guide start-ups through the most vulnerable stages of business formation. She also positioned the region as a strategic partner in the Florida Economic Gardening Institute – a key resource for growing second-stage companies. Beth instituted a Business Retention & Expansion (BRE) program in the Tallahassee MSA connecting industry, education and government to affect a positive business climate specific to multiple industry sectors. Beth has recently turned her attention to industrial sites identification and preparation. During her career in economic development, Beth has served in communities that have announced jobs in the sectors of IT, Healthcare, Energy, Advanced Materials, Warehousing/Distribution, Transportation Solutions, Back office, and Manufacturing. Beth resides in Tallahassee and has two grown children, a beautiful granddaughter and a son who is enjoying high school. Raised in Florida, Lance Lozano has been interested in politics and current events in this state for many years. After graduation from Florida State University (FSU), he started his career at Florida United Businesses Association (FUBA) in 1994 as the Assistant Director of Government & Legislative Affairs. FUBA is a trade association of small businesses throughout Florida. FUBA represents the interests of small businesses before the Legislature as well as state agencies. In 2001 he was promoted to Chief Operating Officer of the FUBA and FUBA Workers’ Comp which is the workers’ compensation insurance program exclusively for FUBA members which insures 7,500 businesses in Florida. He has been actively involved with the Florida Society of Association Executives (FSAE) for 15 years and has served on the Board of Directors for 7 years in addition to numerous committee chairmanships. FSAE is an association that represents the interests of association executives as well as those allied in the association business in Florida. Lance is a Founding Member of the University Center Club. 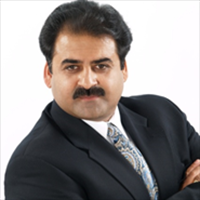 Jay Narang is an entrepreneur with active involvement in various efforts affecting his local community. Some of the firms he has founded include a global services firm (GDKN), with employees serving clients in 47 states in the U.S, Canada, Europe, South America, and Asia. His latest venture, Tech Army, an ISO 9001:2008 certified company, offers IT Consulting, Business Process Automation utilizing firm’s Custom Application Software Development Services, and Staffing Services. He is also the co-founder of TechRev, a Software Products/Solutions firm that has developed a disruptive invention DEW utilizing AI (Artificial Intelligence) in software technology space. It is currently in Patent phase. Another notable venture is ECMS, a payment processing solutions firm, with a product called DonateBucket. The clientele of his firms includes many Fortune 500 and public-sector entities in industries including but not limited to, Education, Information Technology, Healthcare, Manufacturing, Banking/Financial, Oil and Gas, Engineering, Aeronautics, and Defense. Jay has been serving the industry for 25 years. He has a Bachelor of Engineering in Computer Technology, Advanced Management Education from Northwestern University’s Kellogg School of Management and Finance for Senior Executives from Harvard Business School. Some of the coveted awards won by his companies include – NMSDC’s Crystal Award in 2009, Top 100 MBE in 2009, 2010, and 2011 Award by Greater Miami Chamber of Commerce, SFMSDC’s prestigious “Supplier of the Year Award” in September 2008, 2012 and 2016, Business Leader Media’s 2011 TOP 300 Small Business of the South Award (Ranked amongst Top 10). Jay was a recipient of the “Champion Award” for his outstanding leadership in support of the Florida State Minority Supplier Development Council. Each year, staff and management team at his companies come together to serve the homeless by observing service day in partnership with Broward Outreach Center (Miami Rescue Mission). Additionally, they have been a contributing corporate member of United Way at Broward County, Jubilee Pantry, Doctors Without Borders and many other community betterment causes. Jay served on the Supplier Diversity and Outreach Committee at nation’s 6th largest school board district: School Board of Broward County. He also serves as the Chairman at State of Florida’s Advisory Council for Small and Minority Business Development and as the Chairman of MBEIC and on the Board of Directors at FSMSDC. Jay is a regular guest, as a roundtable panelist, on ABC’s This Week In South Florida show. On a personal front, he serves on the Executive Board of RPOF. Jay was also a Delegate from Florida’s 23rd Congressional District to the RNC in 2016, that nominated President Donald Trump. He served as the campaign Co-Chair, for now, Attorney General Pam Bondi’s winning campaign for Florida’s Attorney General, both in 2010 and 2014. 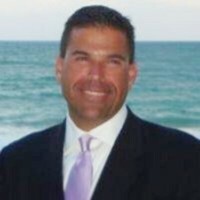 Jay was elected President of the South West Broward Republican Organization (SWBRO) in February 2010 and subsequently reelected in 2011, 2012, 2016 and 2017. Jay also served as the State of Florida’s Outreach Director at the Florida Federation of Young Republicans (FFYR) in 2009-2010.